Chicago Whether you like your mac & cheese high-end or high-cal, we're not gonna judge you (unless it's the high-cal one, then we totally will). 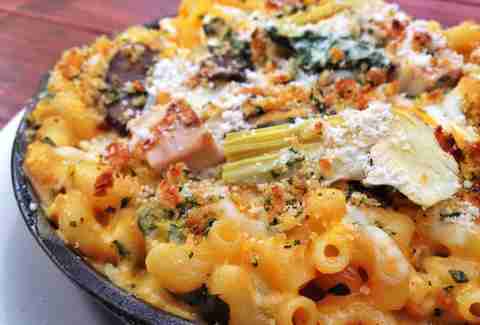 Instead, we're gonna hook you up with five brand-new mac & cheese dishes in Chicago that are all one or the other (or both). Da Lobsta (Gold Coast): Yes, you can eat lobster for $8, but only if you’re cool with your crustacean being smothered in Jarlsberg, pepper Jack, and cheddar cheese. What's that? Your ARE cool with that??? 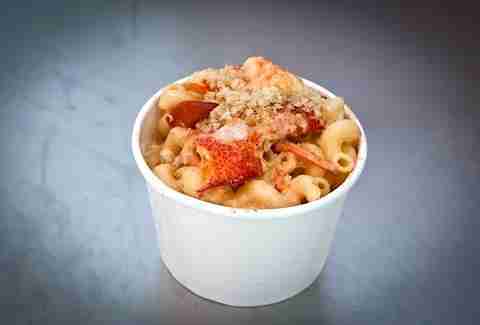 Well then you you better head to Da Lobsta's Gold Coast location, 'cause that's the only one giving its mac the gourmet treatment by loading it up with large pieces of claw and knuckle meat. 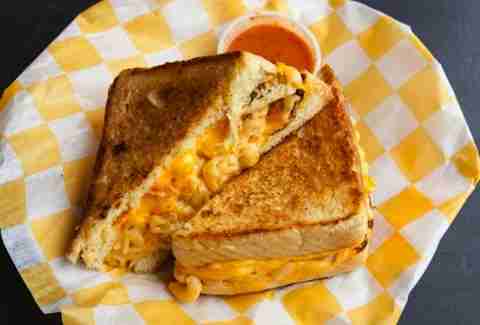 Cheesie's Pub & Grub (Lakeview): If you like your mac & cheese smashed between two slices of bread, you’ll love Cheesie’s The Mac, a mac & cheese-stuffed grilled cheese that’s arguably the most popular item on this late-night spot’s menu. Assuming, of course, that you're a very poor arguer. 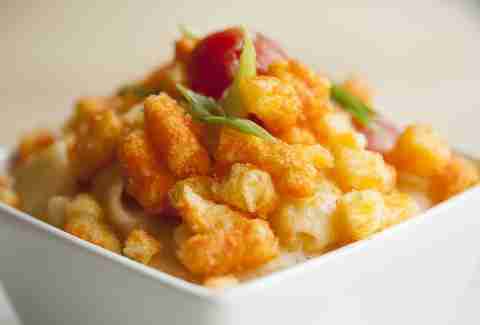 Spritz Burger (Lakeview): What happens when you top a creamy mac & cheese dish with Cheetos? 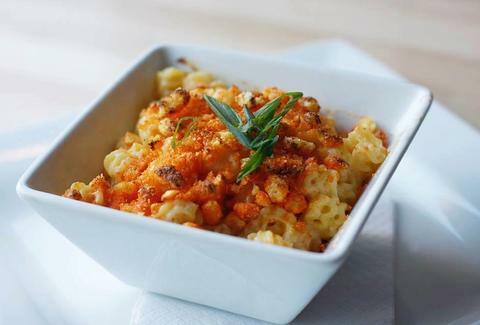 Nobody knows... except this new Lakeview joint doing a Mac And Cheetos dish -- which you can also score as a side (WHY WOULD YOU DO THIS?!?) for just $3 (... oh). 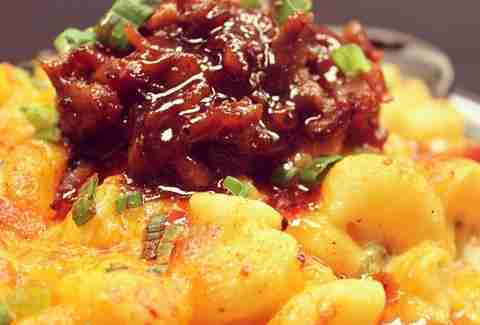 Bub City (River North): There isn’t much to say about Phoebe’s Classic Mac from River North’s token country bar. It doesn’t come topped with gourmet meat (but you can add it! Chipotle brisket FTW!) or Epic Meal Time-worthy gimmicks. It isn’t limited-edition or newly released. But there’s one thing it has going for itself: it’s damn good (especially with the brisket).